THE REV ROBERT BRUCE (1554-1631), a distinguished personage in the reign of JAMES VI, King of Scotland, who had the honour of crowning that monarch's Queen. THE REV MICHAEL BRUCE, settled at Killinchy, in County Down, but was driven, with other ministers, thence into Scotland, in 1651, by Colonel Venables, and the parliamentarians, for his fidelity to the King. In 1668 he was sent prisoner to Westminster, for officiating in private as a minister of the Gospel. He returned to Killinchy, however, in 1669, after undergoing great hardships, and a long imprisonment in England and Scotland. THE REV PATRICK BRUCE, Minister of Drumbo, County Down, who removed for a time to Scotland, and afterwards succeeded his father as minister of Killyleagh. Frideswide, m, 1781, to D Mussenden, of Larchfield, Co Down. THE REV HENRY HERVEY ASTON BRUCE, of Downhill, County Londonderry, who was created a baronet in 1804, denominated of Downhill, County Londonderry. HENRY WILLIAM, of whom hereafter. STEWART ARMIT MacDONALD BRUCE JP (1858-1937), was of Ballyscullion Park. THE MULHOLLANDS are a branch of the ancient sept of MacLallan, Argyllshire. They were first established in County Antrim, whence they spread into the counties of Kilkenny, Carlow, Londonderry, and Monaghan. In the last-named county, Captain John Mulholland held the estate of Conaghty by grant from the Crown; and his lineal descendant, John Mulholland, served as High Sheriff in 1766. ANDREW MULHOLLAND JP DL (1792-1866), of Springvale (Ballywalter Park), County Down, was the son of Thomas Mulholland (1756-1820), of Belfast. THE RT HON HENRY GEORGE HILL MULHOLLAND (1888-1971), was the third son of Henry, 2nd Baron Dunleath, and Norah Louisa Fanny Ward. He served as MP for Ards and Speaker of the NI House of Commons, Stormont. In 1945, Mr Mulholland was created a baronet, denominated of Ballyscullion Park, County Londonderry. SYLVIA PATRICIA NORAH, of whom we treat. RICHARD TIMOTHY MULHOLLAND PALMER (b 1954), is now of Ballyscullion Park. 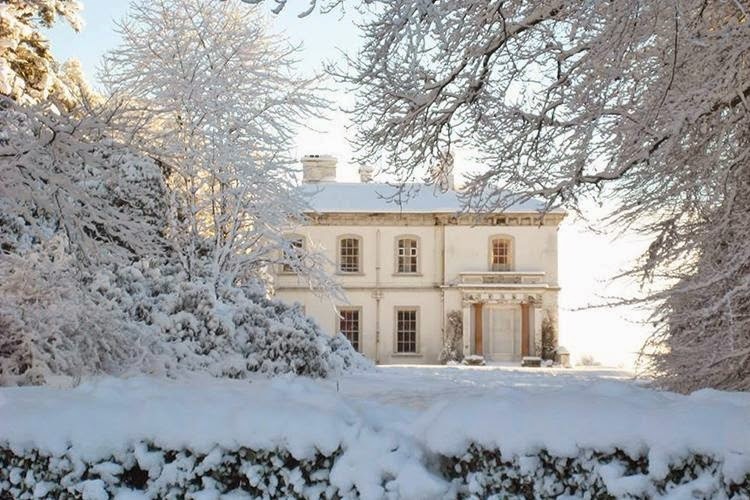 BALLYSCULLION PARK, near Bellaghy, County Londonderry, is a two-storey, five-bay Victorian country house. It was built in 1840 by the distinguished architect (Sir) Charles Lanyon for Admiral Sir Henry William Bruce KCB, a younger son of Sir Henry Hervey Bruce Bt (1820-1907). Stones were taken from the Earl-Bishop’s palaces at Downhill and Ballyscullion to build Ballyscullion Park. The front portico has four columns (two square, two round) with pilaster Tuscan capitals, supporting a frieze with triglyph & mutule, deep cornice and blocked parapet. There are ashlar steps and side blocks; deep overhanging eaves and pitched roofs. The northern elevation was formerly glassed in. Ballyscullion Park remained in the Bruce family until it was bought by Sir Henry and Lady Mulholland in 1938. Sir Henry, 1st Baronet, was Speaker of the Northern Ireland House of Commons from 1929 to 1945. During the 2nd World War the estate, renamed Camp Ballyscullion, was prepared by the 202nd Engineering Combat Battalion for US soldiers of the 82nd Airborne Division before D-Day. Ballyscullion Park remains a private home owned by the Mulholland family. It may be hired as a wedding venue or film location: part of Game of Thrones was filmed in the park. 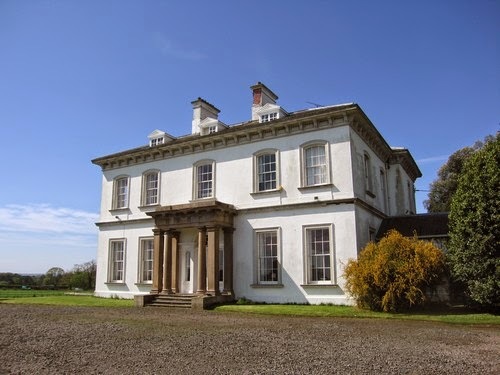 This partly walled demesne was established in 1787 for Frederick, 4th Earl of Bristol and Lord Bishop of Derry, commonly known as The Earl-Bishop. That palatial country house was sadly was never completed, though the central rotunda (a prototype for the considerably larger Ickworth House) was finished. Remnants of what was once known as "The Bishop's Folly" lie in the woodland, having been partly demolished in 1813. Nearby stands the present Ballyscullion Park, which overlooks Lough Beg and distant mountains beyond, affording fine views and incorporating the spire of a church on an island in the lough. This was added as a folly tower in order to provide an eye-catcher from the original palace. The Earl-Bishop chose this location for his late 18th century building as he considered it, ‘... not to be inferior to any Italian scenery’. The foreground to the lough is in the manner of parkland with stands of trees. There are effective shelter belts in what is flat exposed land. Close to the stable-yard lies the partly walled garden, which is cultivated as an ornamental and productive garden for present-day family use. First published in December, 2014.